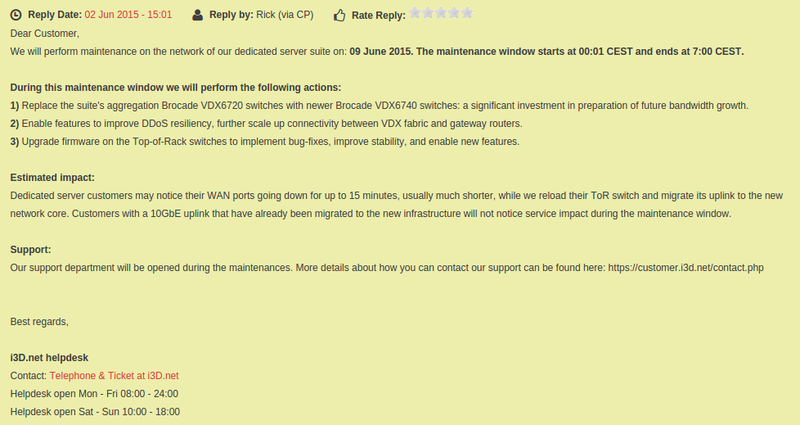 According to what i3D just sent me, there will be network maintenance on June 9th. The downtime shouldn’t be long. Here is a screenshot of information that was sent to me.